The vast majority of people stop work later on in life and, when this happens, they need to have enough income to meet their retirement needs. 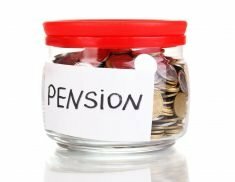 So, as early as possible in their career, they need to stop and assess whether they are building a pension pot sufficient to provide for their aspirations in retirement. In reality; many people have not saved enough. A recent survey in America found a third of people had saved nothing and a quarter had saved less than $10,000. And it is probably a fair assumption that the UK situation is similar. People also underestimate how much they will need in retirement, as predicting the future – inflation rates, health care needs etc – is difficult. So the message really is, the sooner you start saving, the longer you have to save what you will need. But even if you are later on in years, it’s never too late to start a retirement savings plan. Whatever you do, choose options which bring you a return – money stashed under the mattress is never going to grow in value, it will only depreciate. The most effective retirement savings plan involves taking an overview of where you are now and what you want to achieve with your savings, then coming up with a strategy which suits your circumstances.